Many of us out there in the world are dieting and trying to live a healthy life. Some of us exercise and try to eat only the healthiest foods. Many of us know that white sugar, white flour, and trans-fats are not healthy for the body, especially if you want to maintain your weight. There are foods out there that we think are healthy, when in fact it is actually unhealthy for our bodies and can make us sick. Below are some foods that we think are healthy, but is actually unhealthy. People that are on a diet will often choose beverages with artificial sweeteners instead of sugar. Even though sugar is bad for you, artificial sweeteners are actually worse and can be dangerous to your body. All the artificial sweeteners are unhealthy. 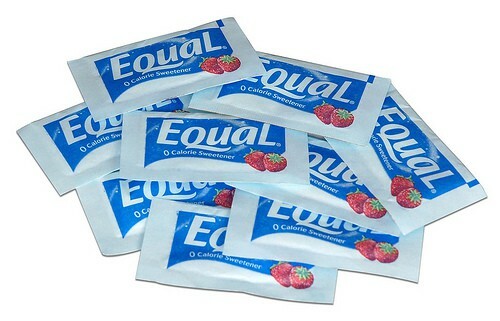 Some of them are nutrasweet (aspartame, Equal). There are over 90 different health related side effects associated with consuming aspartame, including birth defects, diabetes, brain tumors, epilepsy/seizures, and emotional disorders. There are more negative reports on nutrasweet to the FDA than all foods and additives combined. A better alternative to chemically imitative sweeteners is stevia. Stevia comes from a plant. It’s been used for hundreds of years with no side effects. You can buy it from health food stores and possibly other places. Many sports bars are filled with ingredients that are not too good for the body, and are just a little better than candy bars. A lot of them contain artificial sweeteners or sugar, preservatives, chemicals, and synthetic nutrients. 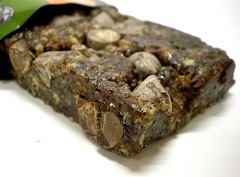 When buying an energy bar check the ingredients. Try buying ones that is made of whole foods such as fruits, flax seeds, natural sweeteners, and oats. Many people believe that sports drinks are good for the body when doing heavy exercising. Sports drinks are filled with sugar and salt, as well as artificial colorings and flavorings. If you add a little salt to cool aid you will pretty much have about the same thing. You’re better off drinking purified water or diluted juices when you exercise. I know you may be surprised to read this, but soy products are not good for you. Soy has been used for generations in Asia. The way we use soy now is not the same way the Asians traditionally used soy. The Asians knew how hard it was to digest soybean, so they had a fermenting process that broke down most of the indigestible contents, which made it healthier to eat. Examples of this process would be food products like tempeh, soy sauce, and miso. These food products were used as flavorings and condiments in small amounts, but not as a meat replacement. The way we use soy as an alternative to meat can be unhealthy, because soy contains a lot of toxins/anti-nutrients. The anti-nutrients in soy can cause health problems of the pancreas, thyroid complications, and cancer. Soybean can inhibit the body from absorbing essential minerals. For three to four decades granola has been considered healthy. However eating unprepared grains that have not been soaked, fermented, and sprouted has surfaced for about five to ten decades. People that came before us know that unprepared grains can cause dietary problems. Just like in soybeans there are anti-nutrients in grains, such as phytic acid and enzyme inhibitors, that make it hard to digest. The anti-nutrients can cause problems like colitis, crohn’s disease, and mental disorders. Failure to prepare grains properly is one reason celactic disease is so prevalent. Just stay away from the granola. Oatmeal is a wonderful food to have in our diets, however use whole rolled oats and not the instant kind. Soak them overnight before boiling them for breakfast. The good breads to eat are the ones that have properly prepared grains, including sprouted grain breads and whole grain sourdough. You can find these in health food stores. If you are trying to eat healthy and or lose weight, there is something you can keep in mind, all because a store markets something as healthy or if a health food store sells it doesn’t mean that it is healthy for you. Do your homework before you go out shopping for healthy food and make sure the food you are buying is really healthy. Your body will be happy you did.